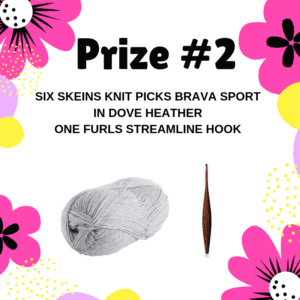 Spring Crochet Challenge – Crochet to Win! You are here: Home / crochet / Spring Crochet Challenge – Crochet to Win! 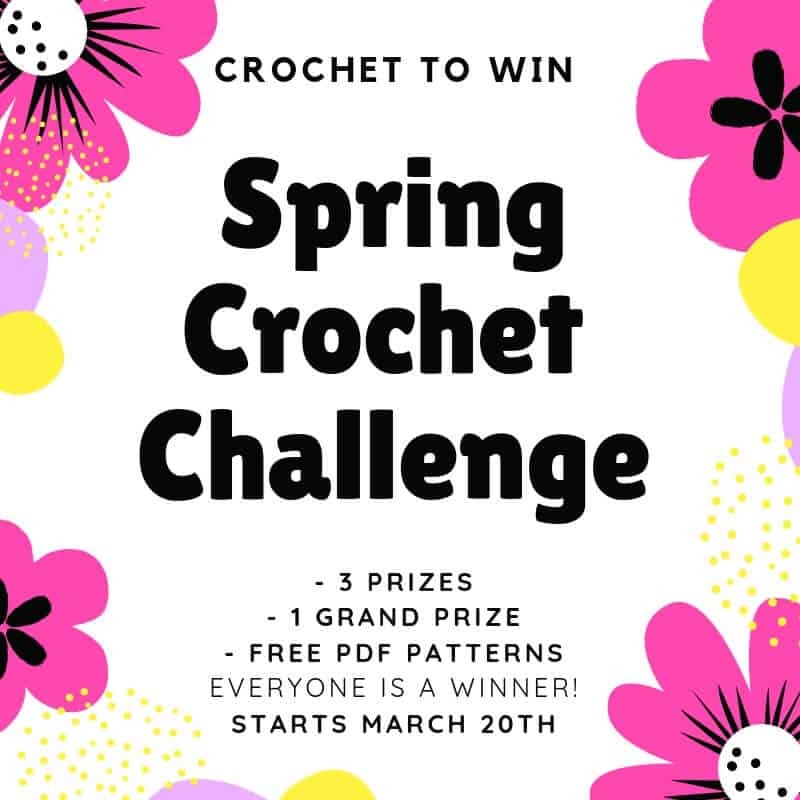 Find a pattern on my blog (mariasbluecrayon.com) that you would like to make, make the item, post it in my Facebook group or Instagram with the hashtag #springcrochetchallenge to be entered to win 1 of 3 prizes PLUS a grand prize! Starting 3/27, a winner will be picked each Wednesday over the course of 3 weeks to win a prize! The Grand Prize winner will be announced 4/17/19. PLUS I have set up an Easter Egg Hunt on my blog! Find an Easter Egg and win one of my PDF patterns of your choice! Everyone has a chance to win! PLUS EVERYONE HAS A CHANGE TO WIN A FREE PDF – ONE OF MY PATTERNS OF YOUR CHOICE! Basically, everyone is a winner and that’s super exciting! This is the fun part! 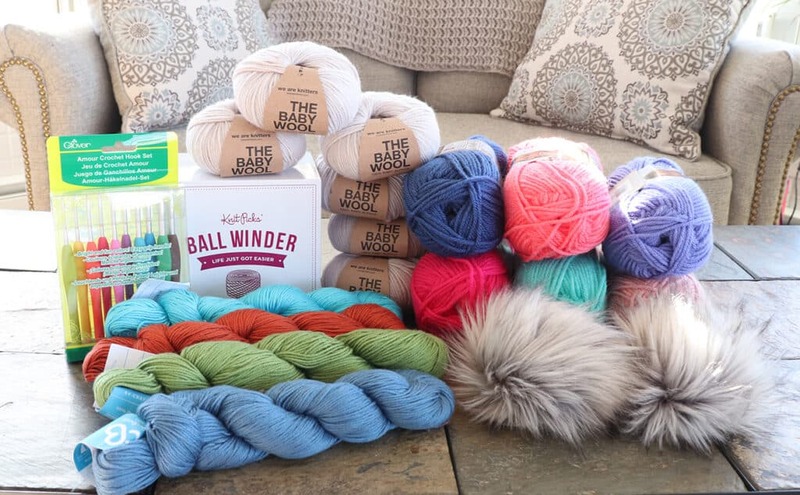 You crochet to win! 2. Make the item from the pattern you choose. After completing all the steps, you will be automatically entered to win one of the weekly prizes. See details below for multiple entries. I love it when everyone is a winner, so I have set this challenge up so anyone is capable of winning something! I’ve hidden Easter eggs on my blog. Find one and you win a free PDF pattern of your choice! They can be hidden on ANY of my posts/pages on my blog – happy hunting! Once you have found the Easter egg, there will be a word on the egg which will be your code to get a free PDF. Click on the picture of the egg to go to my Ravelry Store. Put any one of my patterns into your cart, enter the code, and it will be free! *Codes are limited one per person. Challenge is open to everyone worldwide. 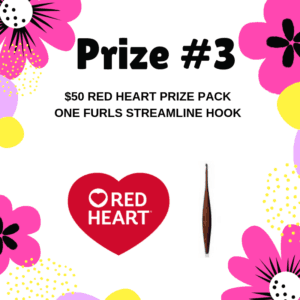 Every Wednesday (3/27, 4/3, 4/10), a winner will be announced. 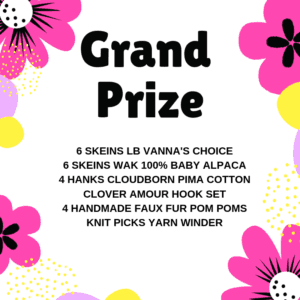 Grand prize winner will be announced 4/17/19. You have 48 hours to respond once I contact you before I choose a different winner. I will contact you via Facebook or Instagram depending on where your picture was shared. Prize winners will be chosen at random. Once a winner is chosen for Week #1, all entries will still count for Week #2 and so on and so forth. You may choose to make more than one pattern from my blog to submit as different entries, however multiple items from the same pattern will only count as one entry. Please post separate photos of separate projects so I can count each one as an entry. Past projects using my patterns will not count. If you are in the middle of working on a project with one of my patterns, you may count it as an entry if you finish during the challenge. There are quite a few themed blankets on my blog, I will count one applique as one separate entry as each pattern is separate on my blog. Please leave any questions down in the comments below! Any of the patterns on my blog are fair game, but here are some spring related patterns as well as quick and easy patterns to get you started! FIND ALL OF MY CROCHET PATTERNS/POSTS HERE. where do we post pictures? Is it open for international entries? Yes, everyone can enter worldwide! Never mind!! Just keep looking was the right answer. 🙂 Thank you!! Sorry I’m a little slow. I stumbled upon this “challenge” last week. I was excited to participate. I chose your “Hippy Dippy Vest” pattern (really cute, by the way) and immediately got started. I just finished it up tonight, and thought I had better check on the “deadline”; to be sure I hadn’t missed it. But I couldn’t find it. I was checking in every yarn craft related group I am a part of on Facebook, and I check on Ravelry, too. I finally had a light-bulb moment: Maybe I saved the link on Facebook. YES!, yea I did. I am also a bit ADD and had not read through the whole post before rushing to my stash and getting yarn and hook in hand to start making the vest. Well, I have requested to join your Facebook group. Even I do not get to enter for the prizes, I really enjoyed seeing your patterns, and making the vest. I will share it on my page after I hear back. 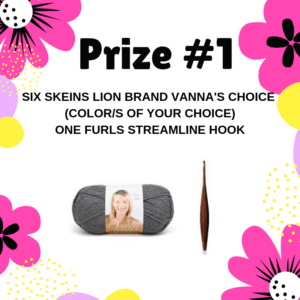 You have until 4/16 to enter!